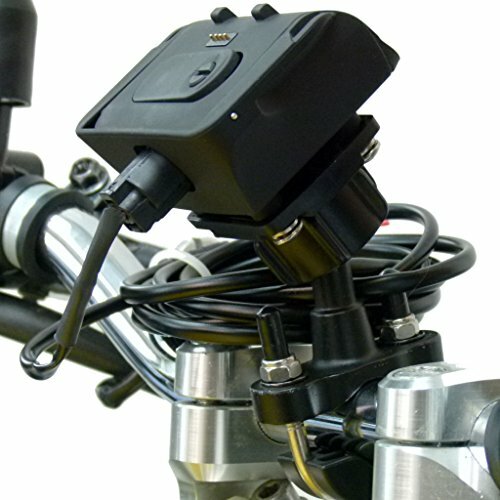 BuyBits exclusive powered dock holder and metal u-bolt motorcycle handlebar mount. New - BuyBits design replacement POWERED DOCKING HOLDER for the TomTom Urban Rider motorcycle satnav - CE Approved & FCC Approved. Handlebar mount offers a high quality handlebar base includes 2 x U-Bolt's and 2 x reducing collars and fits bike / motorcycle handlebars from 16mm to 32mm. Powered dock suitable for use with the TomTom Rider 2, Urban Rider & Rider PRO motorcycle gps satnav systems. Includes a direct to battery hardwire charging cable - powers straight from your bikes battery.